Bvlgari Mon Jasmin Noir is a burst of radiant, naturally vibrant energy, with a combination of black jasmine flower with powdery and gourmand notes. Bvlgari Mon Jasmin Noir results in an olfactory composition that is at once, modern, sensual and irresistible. 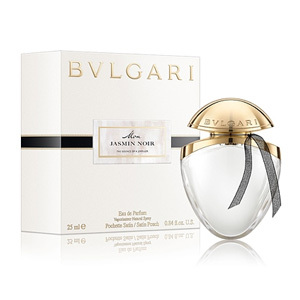 Bvlgari Mon Jasmin Noir is fresh and seductive fragrant blend of addictive florals, withf lily of the valley, Sambac jasmine, musky nougatine and vibrant woods. The base combines woods and patchouli with nougatine for an ever-so-slightly gourmand final harmony.